Our goal is to connect people with the best local experts. We scored wedding photographers on more than 25 variables across five categories, and analysed the results to give you a hand-picked list of the best wedding photographers in Fort Worth, TX. Cara Burk Photography offers a variety of custom photography work to clients in and around Fort Worth. 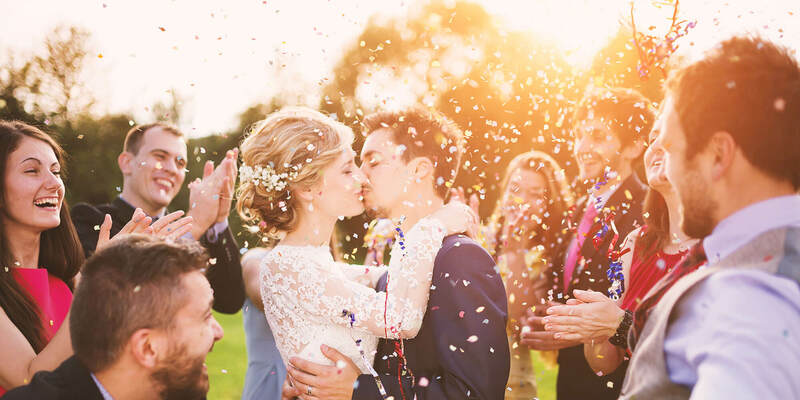 The photographer holds a BFA in Photography, and specializes in wedding and event photography, but also takes senior photos, family portraits, and newborn photos. Different wedding and engagement packages are available to cover any type of special day. Corbin Photography is based in Azle and serves the Fort Worth-Dallas area. They specialize in wedding photography, and also offer portrait sessions for families, engaged couples, newborns, and high school students. The photographer is inspired to catch individuals in moments that highlight their feelings and personalities, whether on the day of a major life event, or in a formally posed portrait. Cortney Dani Photography, based in Fort Worth, Texas, provides photography services for engaged couples, new parents, and families throughout the area. The photographer has taken photographs across the country and is passionate about her work. Cortney Dani Photography offers several wedding packages to accommodate the needs and budgets of each unique couple. Desiree Roberts Photography has nearly a decade of experience photographing weddings, events, and portraits. The Haslet-based photographer offers a number of pricing packages to meet the needs of brides, engaged couples, families, new parents, seniors and teens, and anyone who wants to document a special life event. Desiree always carries two Sony DSLR cameras and multiple lenses to ensure the day goes smoothly. Doug Roberts Photography in Fort Worth makes images to commemorate engagements and weddings, awards and anniversaries, reunions, and birthdays. They are also available for individual and group portrait sessions. In every session, the photographers take the time to capture each subject’s unique character and personality. Envision Images serves Dallas and Fort Worth, Texas with timeless images of special moments, specializing in weddings and engagements. The photographer also takes portraits of families, documents parties and corporate events, and is available for boudoir sessions. Rather than flat fees, each client gets a custom quote specific to their needs. Inessa Lazenby Photography in Fort Worth offers image making to commemorate events and document memorable moments. The photographer uses a reportage style of photography at weddings and events to unobtrusively document the story of the day. Inessa is also available for portrait sessions for families, children, engaged couples, newborns, and pets. For more than 20 years, Jim Byrd Photography in Fort Worth has specialized in photographing weddings and all the special moments before and after the ceremony. They are available for sessions to shoot newly engaged couples, high school seniors, and families. Their range of available wedding packages include options for one or two photographers, multiple prints, and custom albums. Katie Faith Photography uses a background in the fine arts and a journalistic sensibility to create unforgettable images of memorable moments to tell the story of each client’s big day. The photographer is also available for high school senior sessions, and engagement and bridal portraits. Customized service is available, and each session includes an online gallery. Khampha Photography in Fort Worth uses a photojournalistic style to capture candid wedding moments and well composed senior portraits. The head photographer has an strong art background from his time at Boston University and more than 15 years of field experience documenting events ranging from the Iraq war to Hurricane Katrina, giving him the ability to confidently capture a wedding’s non-choreographed moments. KJ Images Photography is the studio of Kevin Jairai, an award-winning Dallas photographer. He uses techniques learned in the fashion world to create dramatic shots of his clients’ most memorable wedding day moments. He has a good deal of experience with weddings, sports photography, and celebrity portraits. Lacy Lane Photography is based in Keller, Texas and serves the larger Fort Worth-Dallas Metroplex. The business specializes in wedding and family portrait photography. The photographer is adept with both fine art and documentary styles, and offers packages in a range of price options to meet the needs of each unique client. Lacy Lane Photography also makes short films to commemorate weddings and other special events. Legacy Studios in Keller, Texas offers photography for a number of purposes, including senior and child portraits, executive headshots, and boudoir and wedding photos. The photographer holds a Master of Photography degree, and works to make each subject look their best. Locations Photography in Fort Worth is available for family and newborn portrait sessions, senior photos and business portraits, and of course, weddings and engagements. Past clients appreciate the relaxed, comfortable sessions and the quality of the photographs produced. Locations Photography also offers beginner and intermediate photography classes, as well as an introductory photoshop course..
Olivia Grace Photography in Fort Worth specializes in capturing special moments in the big days of clients’ lives. The photographer offers services for weddings, family and newborn portraits, maternity pictures, and senior photos. She provides a number of package options to meet each client’s needs. S.A.Y. Cheese Photography is an affordable service that offers a range of package options. They are available for weddings, engagements, special events, and family portraits. Their mobile studio allows for on-site studio photography at any location. Each session includes an online gallery and professional image retouching. Shanna Leigh Images has been photographing weddings since 2010. The business offers comprehensive photography of the big day, and aset of a la carte options for customized coverage and delivered images. The studio also schedules portraiture sessions for families, engaged couples, bridal portraits, and boudoir images. Swan Photography offers professional photography for weddings, engagements, bridals and couples in Fort Worth and the surrounding areas. The lead photographer specializes in using natural light photography to capture little moments on the big day. She offers four levels of wedding package to meet every marrying couples needs and expectations. Teshorn Jackson Photography specializes in wedding and engagement photography in Fort Worth and beyond. The photographer missed out on getting great photographs at his own wedding, and takes inspiration from the experience to capture special moments for his clients. Teshorn is a native of Antigua, and has extensive experience photographing tropical beach weddings. Vanja Wedding and Portrait Photographer is based in Fort Worth, Texas, and available for destination weddings around the world. The photographer works to establish a level of comfort and personal connection to her clients that allows for natural, relaxed, honest, and genuine images of special moments. Vanja is available for weddings and engagements, and senior photo sessions.